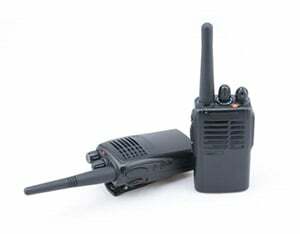 Police work, at times, requires officers to use controlled force to bring order to a chaotic situation for the benefit of all involved. 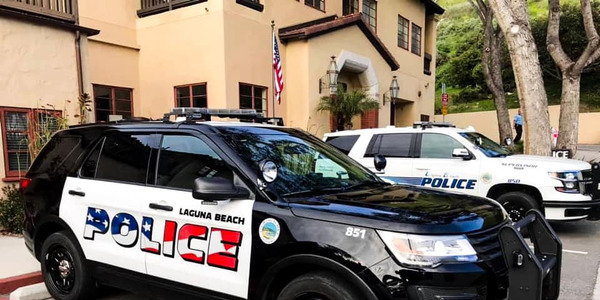 And for much of its history, Dodge has brought muscular steel and roaring horsepower to law enforcement fleets that, when under the steady hand of a highly trained law enforcement driver, enforces compliance from many a speed violator. The 2019 Dodge Durango Pursuit, which in its highest iteration is a law enforcement version of the Durango R/T, can chase down suspects without breaking a sweat. 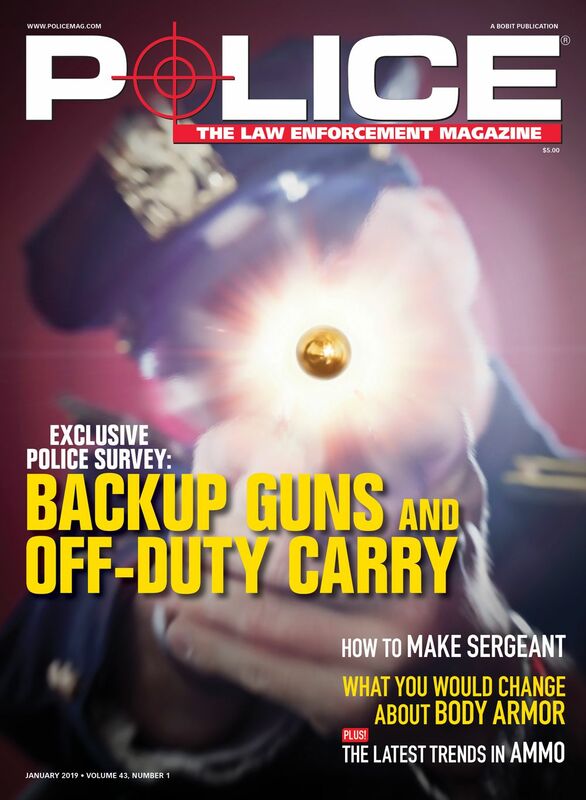 It provides "the long arm of the law now with bigger biceps," according to its marketing campaign. Once we sail past the hyperbole, we find a performance-oriented pursuit-rated SUV that enters the fray against the tough competition of Ford's Police Interceptor Utility and the Chevrolet Tahoe PPV. Dodge began selling its Durango Pursuit at the tail end of the 2018 model year in a limited run, so the 2019 model will likely be the vehicle most purchased by law enforcement agencies. While the Durango Pursuit may find a place in fleets that already run Dodge Charger Pursuit sedans for fleet managers who value manufacturer continuity, the vehicles are significantly different, so there's no reason why the vehicle wouldn't be considered by an agency seeking a high-performance vehicle with more room for police gear and additional officers. 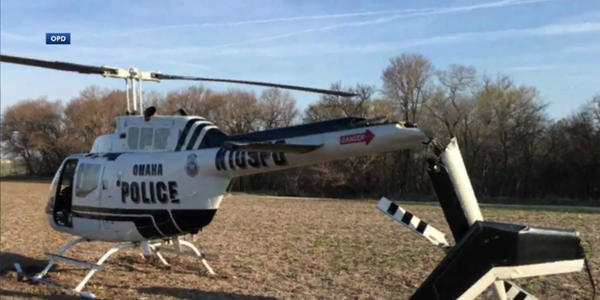 The vehicle could also easily be set up as a K-9 unit. Hopes are high among the Dodge law enforcement sales team. "We believe the 2019 Dodge Durango Pursuit will expand our appeal to an even broader audience and take our game to the next level in terms of performance," says Steve Beahm, head of passenger car brands for Fiat Chrysler's Dodge, SRT, Chrysler, and Fiat. "The Durango gives law enforcement agencies even more of what they want—a more spacious interior room, a higher ride height, Hemi V-8 performance, and efficiency." SUVs have somewhat overshadowed the traditional rear-wheel sedan in law enforcement in recent years due to their flexible usage. State highway patrol officers or deputies, for example, may be assigned traffic enforcement duties many miles from the nearest substation. So the need for cargo carrying is real. For its 2018 Durango Pursuit, Dodge upgraded a special service Durango it had been selling since 2012, by adding a 220-amp alternator, 800CCA (cold cranking amps) battery, heavy-duty brakes, auxiliary oil and transmission coolers, a unique water pump, spot lamp wiring prep, a certified speedometer, and a headliner with red and white auxiliary dome lamp. For the 2019 model, Dodge upgraded the brakes and raised the top speed to 118 mph. The 2019 Durango Pursuit is best served when equipped with the 5.7-liter V-8, eight-speed transmission, and an all-wheel drivetrain. The 2019 Durango Pursuit, like its Durango R/T civilian relative, is best served when equipped with the 5.7-liter V-8 mated to an eight-speed transmission (TorqueFlite 8HP70) that delivers its power to an all-wheel drivetrain. The beefy engine makes 360 horsepower and 390 pound-feet of peak torque. Of course, agencies can also order a Durango Pursuit equipped with a 3.6-liter Pentastar V-6 and all-wheel drive. Both vehicles use similar eight-speed transmissions. 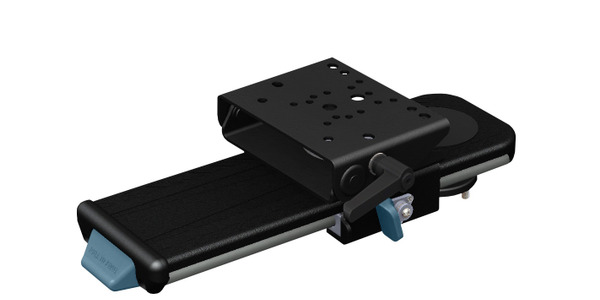 The V-6 model uses a TorqueFlite 850RE without an Eco mode. We tested the V-8 Durango Pursuit, which hums as it smoothly delivers needed power at critical moments such as accelerating up to highway speeds. The vehicle uses an advanced all-wheel drive system that employs an active transfer case to improve real-world fuel economy and provide greater traction. As a result, the handling is excellent, especially during cornering maneuvers. When it first appeared at the Michigan State Police in late 2017, the Durango Pursuit achieved a top speed of 120 mph. Its acceleration was equally impressive, reaching 0 to 60 mph in 7.1 seconds and 0 to 100 mph in 17 seconds. 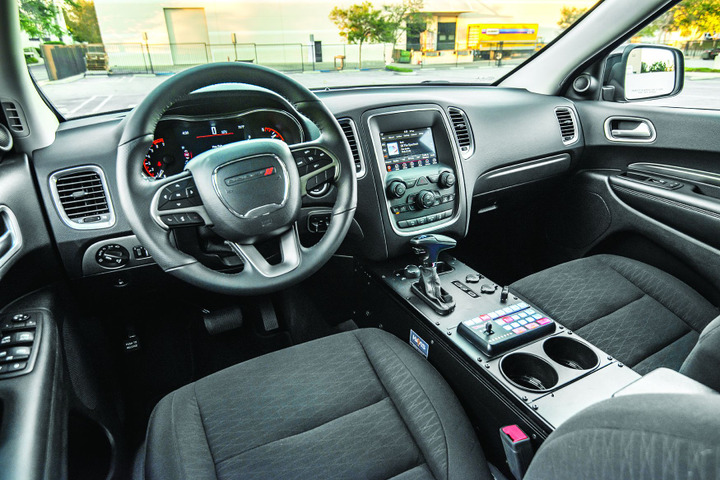 Dodge engineers have provided enough interior amenities that set the Durango Pursuit apart from the Spartan patrol units of yesteryear. 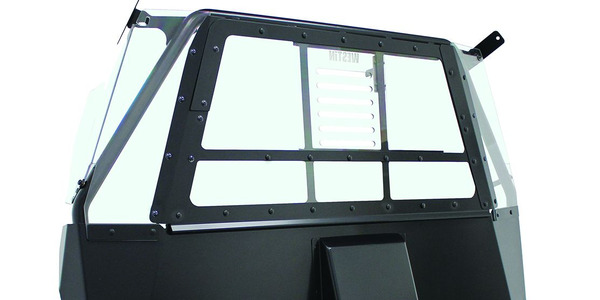 Starting in the driver's seat, ergonomic options should suit officers of various body types. The seat provides eight positions and four-way lumbar support. The cloth bucket seat provides 11 inches of travel. Cabin dimensions in the 2019 Dodge Durango Pursuit provide a comfortable ride even for taller officers. Cabin dimensions are ample with 39.9 inches of front headroom and 40.3 inches of front legroom. Front shoulder room comes in at 58.5 inches, and hip room measures 57 inches. Dodge measures the SAE front volume index at 54.4 cubic feet. The model we tested included a Havis center console, and we had plenty of room even for a 6-foot-1-inch editor. Infotainment options are robust. A 7-inch dash screen supports FCA's excellent, intuitive Uconnect system that supports Apple CarPlay and Android Auto to support projection from most smartphones. Two USB and auxiliary jacks support connectable devices, and a CD player remains. The HVAC system can be configured in three zones and includes automatic temperature control—another feature that supports a K-9 application. Rural deputies who drive the Durango Pursuit may need to tow a trailer or traverse off-road terrain, and the vehicle should perform admirably, though we didn't test it. The V-8-powered Durango Pursuit can tow up to 7,200 pounds and can be equipped with trailer sway control. The vehicle offers the segment's longest wheelbase at 120 inches. 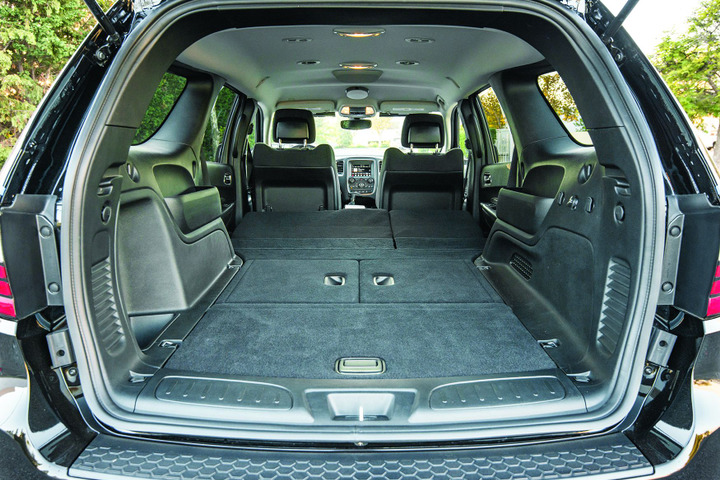 The back of the 2019 Dodge Durango Pursuit provides enough cargo space to make it a good fit for K-9 use. The 8.1 inches of ground clearance supports light off-road driving. The vehicle's two-speed transfer case helps drivers find additional low-range torque. However, if your officers need to traverse more rocky terrain, you could risk damage to the undercarriage. 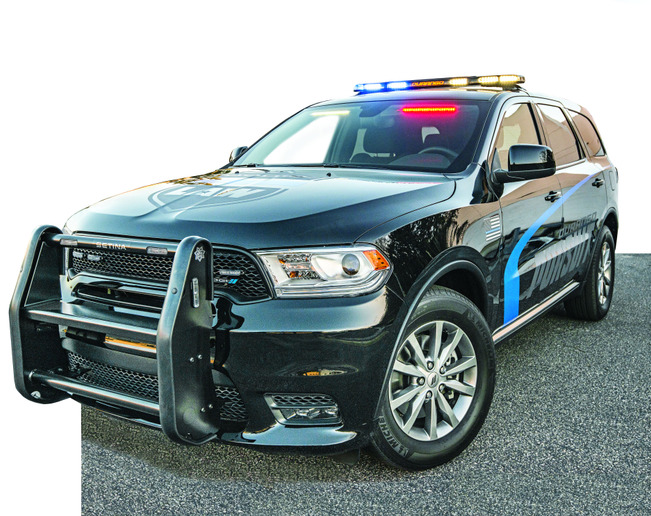 Dodge is offering some optional specialized equipment packages for law enforcement buyers, including blind spot and cross path detection, the Trailer Tow Group, and the Skid Plate Group. 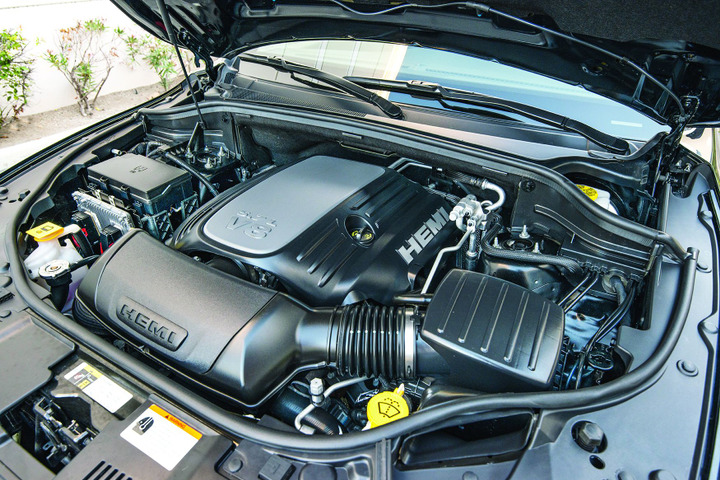 Fuel economy comes in at 22 miles per gallon in highway driving for the V-8 model. The V-6 Durango Pursuit can achieve 25 miles per gallon on the highway, according to EPA estimates. At the end of the day, Dodge has provided a very capable pursuit-rated SUV that arrives with law enforcement feedback baked in. FCA's Police Advisory Board, which includes sworn officers from the U.S. and Canada, provided plenty of input that was "instrumental in the launch of the new Durango Pursuit," Beahm says. Paul Clinton is the former web editor for POLICE and current senior web editor for Automotive Fleet, Government Fleet, and other sister publications.